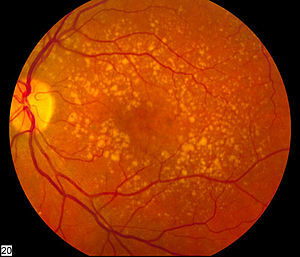 February is National Age Related Macular Degeneration awareness month. Most of us know a friend or family member with ARMD. It is the leading cause of vision loss in older adults in the US. Although there is no great cure, there are treatments, and these treatments definitely work better when the disease is caught early. Often, ARMD is first noticed during a routine eye exam. Sometimes special testing equipment is used to make an earlier or more accurate diagnosis. Grin Eye Care has some of the most advanced equipment for early detection that is available. With technology like dark adaptation, we can find ARMD before it can be seen with a traditional exam. So, if you are worried or would simply like to make sure your eyes are staying healthy, we would be happy to see you and use our state-of-the-art equipment. Please note that we have some instruments in our Leawood office only. Call us today to schedule an appointment!